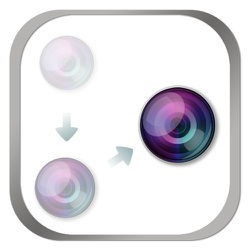 This app allows you to snap a sequence of photos and use that as the basis to create the instruction for doing a task. You can further describe the steps in words if your wish. You can easily reorder the steps. You can share the step with others. Many tasks in our life involve us performing a series of steps. These steps are sometimes not easy to remember - there are just too many steps and we simply don't do them often enough. So what do you do? We often write the steps down so we could remember them. We do this in our note pad or, increasingly, our electronic devices. But writing it out can be quite tedious. It takes so much time. More often than not, we forget to do so, and by the time we remember we have forgotten the steps. This app addresses these issues by providing a quick and simple way to record the steps of doing a particular task. As the saying goes: a picture is worth more than a thousand words. Using this app you could snap photos as you are performing the task. The series of photos that result can be your instruction for doing a particular task. Seeing the photo is often sufficient to trigger our recollection of the step and is often far superior to what words alone can describe. This app contains features that make this even better by allowing you to add descriptive instructions to each photo (each step), reorder the steps, categorize the tasks, share and export the full instructions in a PDF formatted file. Snap it. You can quickly and conveniently snap a photo as you are doing a particular task. What better way to do this then using a device that you often have with you and that you are familiar with? This collection of photos becomes the instructions. Reorder it. You can re-arrange the photos at a time convenient to you so that the order is more meaningful to you. Often, you don't need to do this, as the order you took the photo whilst doing the task should be in the appropriate order already. This function is added to provide additional flexibility. Describe it. You can add descriptive title and instructions for each step. Multiple tasks. You can create different tasks. Create PDF file. The steps can be saved into a file in PDF format. Share it. Share it on dropbox or by email. Export it. You can export all the steps, including the photos. This allows you to share it with friends, families. Works on the iPhone and iPad.